Transfer Window Podcast guest Ian McGarry feels Celtic could considering selling Moussa Dembele during the winter transfer window. The France Under-21 international has been a huge success for the Scottish champions since joining them on a free transfer from Fulham last year. In a report covered by The Star, McGarry admits that the Hoops could consider Dembele’s sale in the New Year with the Frenchman not having the best of seasons in the Scottish Premiership. Dembele has struggled with niggles since the start of the campaign, and he has managed just 18 appearances, approaching the halfway stage of the campaign. A number of clubs including West Ham United and Everton were seemingly prepared to offer £20m for Dembele in the summer, but McGarry feels they could now be put off with the Hoops said to demand a fee of at least £27-28m for his proposed sale. 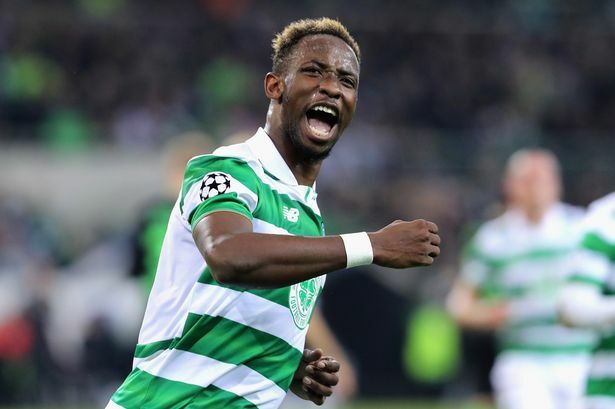 He said: “Moussa Dembele – I know from information and is convinced Celtic will sell in January if they can. The reason for that is Dembele is not the same hot property he was this time last year or indeed six months ago when clubs were offering in excess of £20m and there was a queue. Despite the speculation, Dembele has remained relatively mum over the situation, and he will be setting his sights on a European challenge next year, with the Hoops facing a stiff challenge against Zenit St Petersburg in the Europa League round of 32. Brendan Rodgers’ side reached the stage via a third-place finish in the Champions League, and they will be determined to make some progress in the competition with the first-leg due to be played at Parkhead in mid-February. Barnet once more got themselves into a winning position only to be denied three points by conceding a late goal in a 1-1 draw against Carlisle United at Brunton Park. An individual effort by Jean-Louis Akpa Akpro had given the Bees an early lead only for Carlisle to level with an equally spectacular strike by Shaun Miller in the 85th minute.